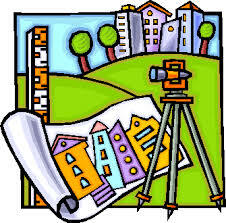 A survey is a drawing of the property which should show any improvements to the property (such as buildings, driveways and the like), the boundary lines of the property, and any encroachments affecting the property (whether items encroaching on the property by third parties or encroachments by the property against a neighboring property). What details are included in a survey depends entirely on what was required of the surveyor in the contract hiring the surveyor, and what is implied by the certification the surveyor gives on the face of the survey. Surveyors have the ability, if asked, to certify many things, such as: (i) whether the improvements are all located within the boundary lines; (ii) in which flood zone the property is located; (iii) whether the structures are in compliance with applicable setback and height laws; or (iv) whether the property has access to a public right of way. Encroachments on the property may include: (i) utilities (such as water, cable, electricity, and telephone lines) and easements for them; (ii) another party’s right to enter upon your property (such as a common driveway that the property may share with a neighboring property); or (iii) structures not being conveyed with the purchase of the property that are on the property and should not be (such as the fence belonging to a neighboring propenrighrty owner). Residential lenders usually require that a survey be obtained prior to closing, because a survey is the only document in a closing which confirms that the legal description in the deed matches the piece of property the buyer expects to receive with that deed. In some instances, if the current owner of the property has a recent survey of the property the lender will accept such survey (or perhaps a current recertification of the prior survey so long as there are no new substantial improvements to the property) and new survey costs may be reduced.